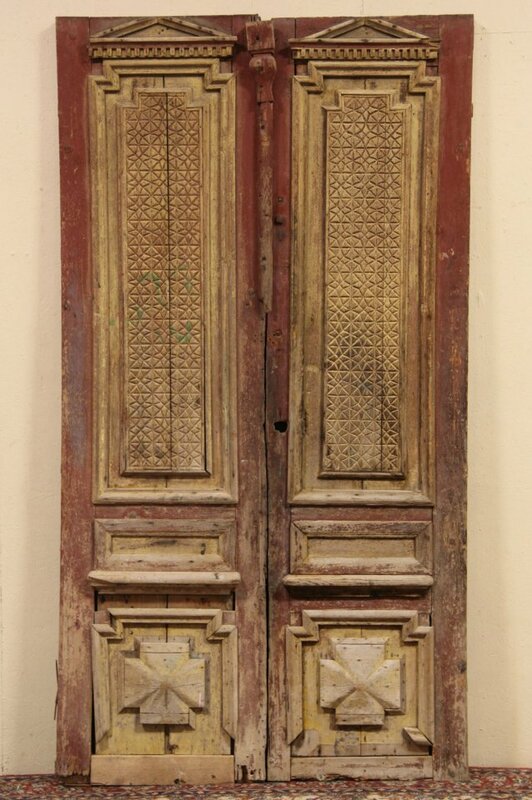 Architectural salvage from the south of France, this pair of well weathered pine doors dates from about 1880. There are losses, traces of paint and graffiti and replaced pieces as shown. Corner joints have wooden pegs. Deep moldings and carved panels are picturesque on this antique pair. Overall size is 53" wide, 3" deep and 98" tall.